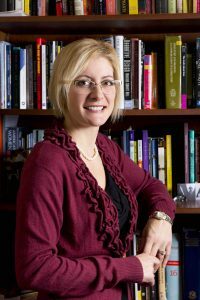 Lara Lillibridge is a graduate of West Virginia Wesleyan College’s MFA program in creative nonfiction. In 2016, she won the Slippery Elm Literary Journals’ Prose Contest and the American Literary Review’s Creative Nonfiction Contest. She was a finalist in both the Black Warrior Review’s Nonfiction contest and the Disquiet’s Literary Prize in Creative Nonfiction. Lillibridge’s memoir, Girlish, is a conjuring of a childhood spent with two sets of parents in two very different locations. The narrative primarily unfolds in the third person with a second person and a first person accounting interspersed. Written in a mostly linear fashion, the book tells the story from the perspective of Girl. Her brother is referred to as Brother. The two children transition from the volatile relationship of Mother and Stepmother to long summer flights to Alaska to visit their father. The adults are inconsistent role models for the children. Girlish is a testimonial to the resilience of children. Small redeeming moments like the friend, Liz, Girl made in Junior High School become significant. Liz loved horses and volunteered at a stable. When Girl gets a free horse from a waitress, they ride and groom horses together one summer. Although this friendship later becomes fraught with challenges, it is one that temporarily binds her to someone outside her family. Liz is eventually sent to a group home, and Girl is once again alone. Like many of the positive events in this memoir, the glow of human connection is brief and ultimately disappointing. In the segments where Girl visits her father in Alaska, the descriptions of the modest cabin, the hue and mood of the landscape, and the emotional distance of Father are puzzle pieces that fail to complete her. Girl vacillates between her stepmother’s mental illness, her father’s serial marriages, and the moments of wildness where she has age inappropriate independence. Nonetheless, there is fierceness to Girl. On her way home from Alaska, she encounters a persistent Hare Krishna in her solo time at the airport. Later she is left in a remote cabin with her stepsister, Juli. They fend off the advances of drunken men and somehow avoid getting raped or killed. The many near misses in her youth make this book both a cautionary tale and a celebration of the triumph of children over adult negligence. 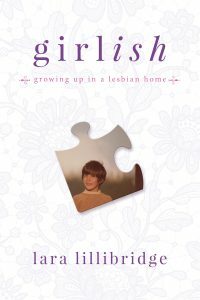 Girlish is less a memoir about growing up with lesbian parents than a story about the fragility and failings of familial relationships. Children, left to their own devices, may encounter danger even as they develop tenacity. In Girlish, it is a bit of both. Girl grows up bitter, fierce, and strong. Toward the end of the book, she forgives the shortcomings of adults who have consistently let her down. She also learns that she no longer needs to save them, or even spend holidays navigating the ups and downs she has finally moved beyond. Lara Lillibridge transitions from Girl to Mama, embracing her own children, her adult choices, and her life as a writer. Lisa C. Taylor is the author of two short story collections, Growing a New Tail and Impossibly Small Spaces (due out in September 2018). She has also published four collections of poetry. Her fiction, poetry, and essays have appeared in many journals and online magazines such as Tahoma Literary Review, Birmingham Poetry Review, WomenArts Quarterly Journal, and Crannog. She teaches private writing workshops in New England and Ireland.